Moroccan-born artist Lalla Essaydi brings the Arab-African Diaspora to life with the opening of her latest exhibit, "Lalla Essaydi: Revisions," at the Smithsonian National Museum of African Art in Washington, D.C.
"Revisions" highlights the intertwining themes of gender, identity and feminism in the African, Muslim and Arab worlds. Derived from Arabic calligraphy, Essaydi evokes the voices of her female subjects to create an intimate and communicative atmosphere for the spectator. 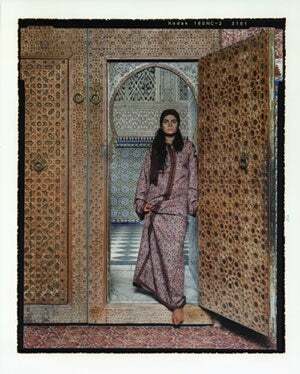 "Lalla Essaydi: Revisions" runs until Feb. 24 at the African art museum, which is located in the nation's capital at 950 Independence Avenue, S.W. Previous recommendation: Join Dominique Dawes and The Root on May 12.